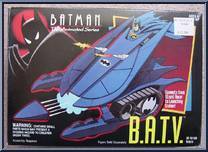 Batman Universe, Dark Knight Universe Batman - Animated Series Vehicles B.A.T.V. 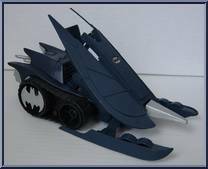 Converts from Street Racer to Launching Cruiser! 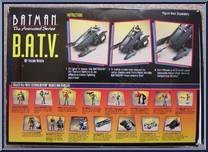 Contribute pictures, update details or suggest corrections for B.A.T.V..
Write a review about B.A.T.V..